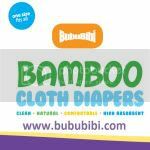 BubuBibi - www.bububibi.com - Bamboo Cloth Diapers: What is your hobby? I love looking at cakes.... Check out the cakes that I have done! What is your hobby? I love looking at cakes.... Check out the cakes that I have done! So, what is your hobby? 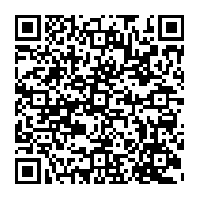 Not sure if this is considered my hobby since I do not really have free time. I only do it during special ocassions and I just started learning how to make fondant cakes last year. I had a friend who helped me with the fondant cakes miles away. I met her after admiring her cakes online and since my first order, we became friends and have been chatting online. She is such a nice girl, even though she is 10K miles away, she stayed up late till almost 4-5am since she is 12 hours ahead of us. She make cup cakes and fondant cakes for a living, http://www.evadiscakes.com/ Just wanted to thank her for taking the time to teach me how to make these beautiful cakes. He has requested an Airplane for his 4th birthday! Flowers are not real but I enjoyed doing this cake since it was for my parent's 35th anniversary and our 8th Anniversary, yes... they are on the same day, May 18th. This cake was especially made for the tallest man that I've have met in person. He is my coworker and my partner at work. He is 6'6. He told me once that he has a Popeye tattoo and I've decided to make the popeye and Olive for him for his 50th birthday. Close up look of Popeye! It was Laynden's 1st Month.... we had a small party and I decided to make some cute cupcakes for the guest. amazing! wish I had your skills!